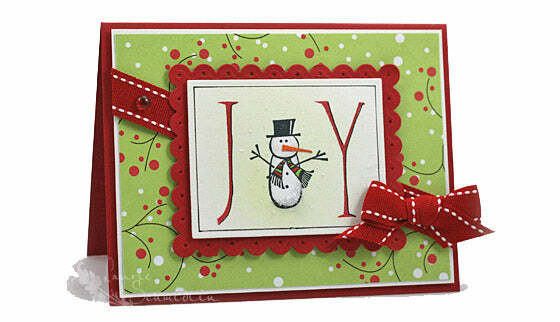 An easy handmade card can surely brighten a day of someone you love and are grateful for. 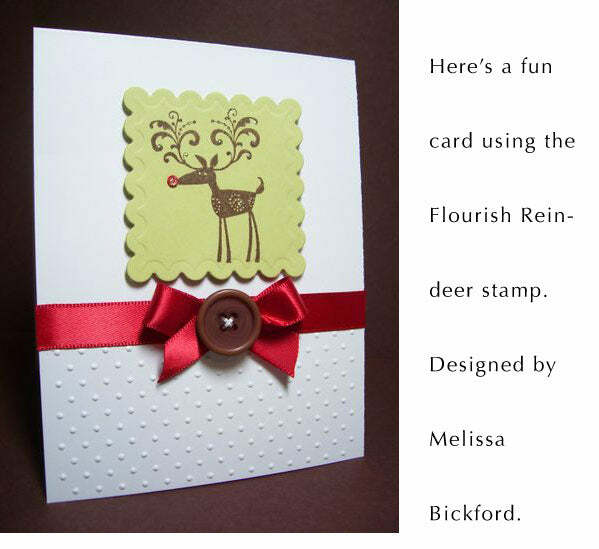 With nature’s bounty and our beautiful sentiments and quotes, you can make unique cards that will uplift and keep on giving long after you’ve cleaned up your inky – and I must say MOST satisfying – little mess! 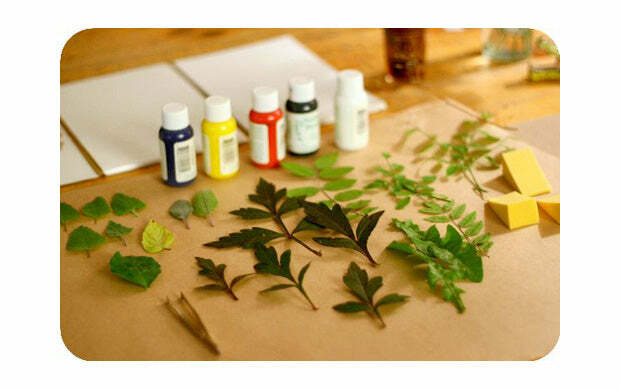 First, go outside and collect fresh leaves and other flora that make you feel happy just by the sight of them. Dry any that are wet, and lay them adoringly out in front of you in your creative work area. I always begin by squeezing out the primary colors of acrylic paints onto the acetate sheet, and then creating new little sets of colors by mixing different combinations of colors together. Totally the fun part! 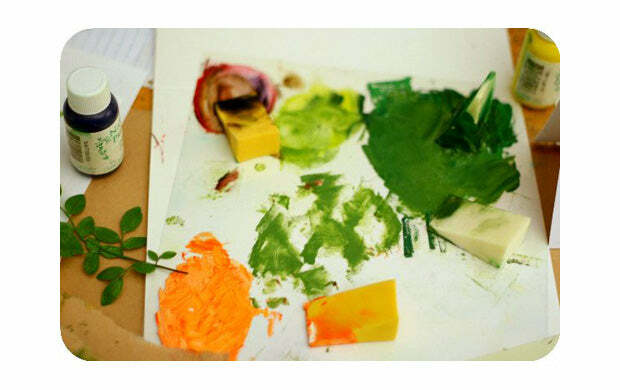 Using a make-up sponge wedge, pat some ink onto your first leaf. Don’t feel limited to just the one color – you can dab on different colors too. Just like nature, the combinations and colors are limitless, and there is no right or wrong. 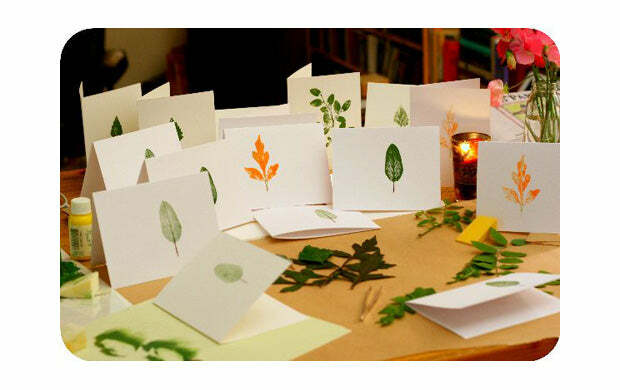 Lay the inked leaf face down onto your card, and lay a piece of paper on top. Press down firmly on your leaf, moving your finger around along the edges as well as the body and stem of the leaf. 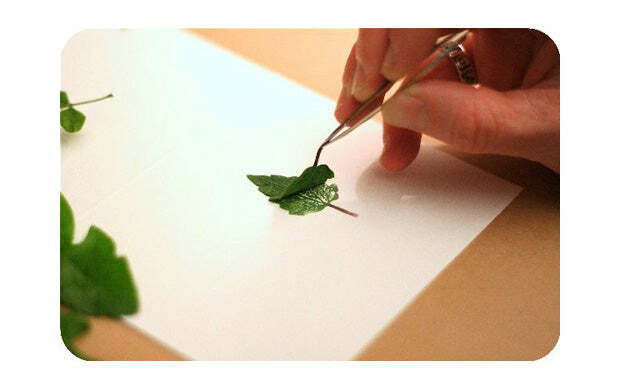 Remove the paper, and with a tweezer carefully lift up the leaf by the stem, or the sturdiest edge. Voila! Isn’t it completely enchanting? And no two prints are ever alike, which makes each card that much more special. I find it can take the ink quite a while to dry (remember, I’m reporting to you from the great pacific northwest!) so I let the cards sit for a good 24 hours before handling them. 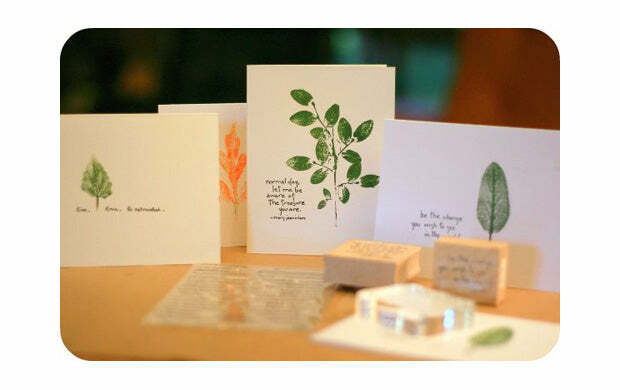 I love to let the outcome of the nature print dictate which sentiment to stamp alongside it. I have been enjoying using the Wordsworth Tiny Words set with all it’s sweet tiny sentiments of whimsy, and I’m just crazy over so many of our quote stamps. This is one of my very favorites. For more quotes and sentiments of gratitude, we’ve put a collection together here for easy browsing. I hope you get a chance to try this fun technique, and we’d love to see your results: watch for our upcoming new flickr photo group, coming soon! And thanks for coming by and checking out this post! I am grateful for YOU. Winterberry is now totally out of stock with the manufacturer. Sorry. We’ve just added 2 new paper collections from Memory Box to our store. The designs are incredible – great art from Dave Brethauer (our friend). These 6×6” sets have 10 different patterns with 3 sheets of each. 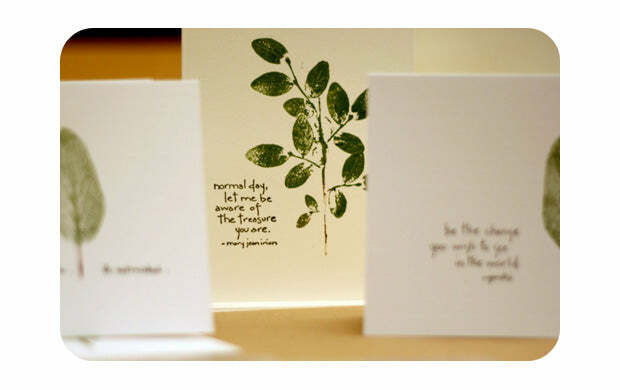 Acid free/lignin free, printed with soy-based ink on paper from a certified sustainable forest program. Great job Dave! Taking pictures with a pinhole camera is one of the simplest forms of the photographic process. You can create dreamy soft-focus images with endless depth of field. All cameras, from the most sophisticated to the pinhole, rely on the same elementary principles, performing in similar fashion to the human eye. If you like putting things together, have an hour for assembly, and an inherent sense of adventure, then you’re on your way to some real pinhole camera fun. Note: takes standard 35mm film, and is not included. 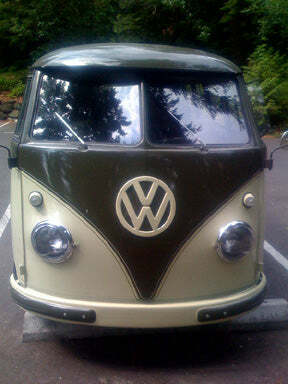 We at Rubber Soul are fans of the bus. Hope to have a stamp of one soon (hint, hint). Google Checkout is an online payment processing service provided by Google aimed at simplifying the process of paying for online purchases. Customers store their credit or debit card and shipping information in their Google Account, so that you can purchase at participating stores at the click of a button. Google Checkout also offers fraud protection, as well a unified page for tracking purchases and their status.